PC Jon Palfrey joined the Constabulary in June 1996.He is married to Alison (a serving Gloucestershire police officer) and has two children Harriet and Patrick. Jon has been brought up and lived in a rural environment, and has developed a real and tangible passion for the needs and concerns of rural communities. Jon became one of the first Rural Beat Officers (RBO’s) in Gloucestershire, and he quickly began to develop his knowledge, skills and experience that was to provide a sound foundation stone for the future, and saw Jon commit his energy and enthusiasm to tackling rural issues. As the Force reorganised itself, and RBO’s retired, Jon recognised the potential for an organisational failure in relation to managing and meeting the needs of rural communities, if the situation was not addressed urgently, in a sea of competing priorities for the Constabulary. Jon proposed a new Rural and Environmental Crime Initiative that learnt the lessons from the RBO’s, and provided a flexible and cohesive structure that would ensure resilience and longevity for the initiative as the Force restructured to meet the new demands and restraints of the economic climate. The initiative was launched in January 2010 and Jon became the full time Rural and Environmental Crime Officer. Directly supervised by the Senior Rural and Environmental Crime liasion officer DI Sue Bradshaw and supported by a network of 20 Police Officer and Police staff Rural & Environmental Crime Liaison Officers. 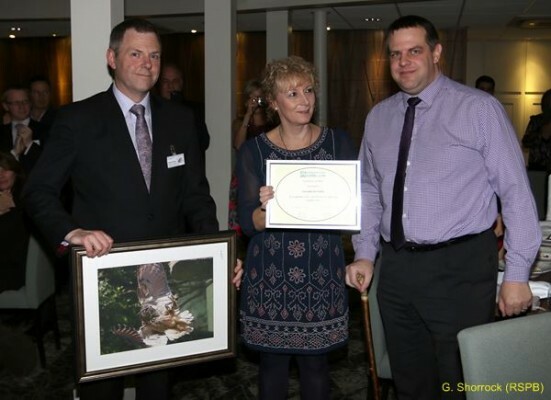 Jon’s dedication and commitment to the initiative has been outstanding, quickly re-establishing and building up the confidence and trust of the rural community, often attending meetings and presenting to conferences and colleges in his own time. Key milestones include increasing rural watch membership to over 1800 members, which is an all time high, supporting and coordinating two major and international crime investigations involving endangered spieces, ie Op Artio. Engaging with the NFU, to launch Operation APE, to combat the increasing theft of tractors, quad bikes and other agricultural machinery. This has had a major impact on the activities of a South West Organised Crime Group. Thefts have been gradually reducing, increasing quantities of property being recovered, and more significantly the arrest of offenders. Also putting a process in place for Humane Animal dispatchers in the county and a Dangerous dog policy. Been part of the Paw training Group and Operation Meles. Jon has worked hard, and his conduct has been exemplary in raising the profile of rural and environmental crime and the role of the Gloucestershire Constabulary, both internally and externally. Jon has had magazine articles published in rural magazines, and has a regular slot on Radio Gloucestershire raising national and local matters of interest. Jon takes every opportunity to use the media to send positive and informative messages to the public. Jon’s contact, engagement and contributions to statutory and non-statutory organisations has been outstanding, receiving many comments and recognition for his attention to detail, unbiased advice and support to the diverse nature and needs of rural communities. He has been an integral part of building an excellent reputation with the National Wildlife Crime Unit (NWCU). The success of the Rural and Environmental Crime Initiative has clearly been a considerable team effort, but the efforts and determination of one person cannot be ignored. Jon’s unbounded energy and enthusiasm has projected the initiative to unexpected levels of success and exposure in such a short period of time. The model Jon proposed and developed with DI Bradshaw has proven to be robust and resilient to the demands placed upon it, and has been recognised nationally as best practice and a number of other forces have now adopted this model.